Contrary to all the terrible stories going around about the Wall collapsing and the lake drying up, I would like to give you, past, the regular and future visitor to Kariba a couple of facts. 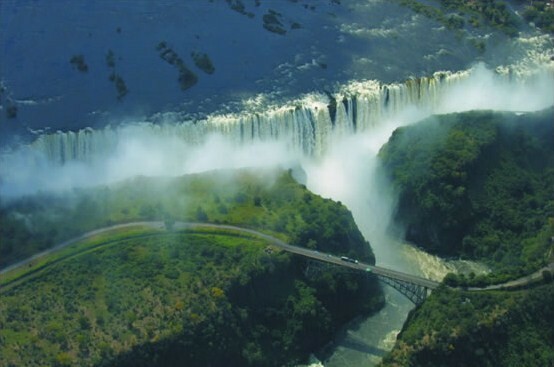 The Zambezi River Authority based jointly in Zambia and Zimbabwe are the people that control the water in Lake Kariba, Zimbabwe Power Corporation in Zimbabwe and Zesco in Zambia control the generation of the power for our countries. The Power Companies purchase the water they use from the ZRA and ZRA are responsible for the upkeep of the Wall, the dam structures, monitoring and controlling the water in the Lake. Unfortunately, no one in ZRA has control over how much rain we receive in the Catchment areas, so do not have any influence in how much water inflows or how much the Lake can rise in a given year, but do have influence over how much is consumed or released if the Lake fills to a spilling level. Firstly, you all know from all the “Experts” that write about the structural condition of the Wall and the “Fact” that it is going to fail; well there is a plan to sort it out starting in the middle of next year, by excavating in the Stilling Pool to enable the water when spilled to get away from the Wall foundation and thereby rectifying the problem there. I hope this comes off and works. But, as far as we locals in Kariba are concerned, it is the misunderstood information about the Lake water level that concern us the most. So many people are under the impression that the Lake is virtually empty and subsequently aren’t coming here for a “Holiday of a Lifetime in Africa’s Best Kept Secret”, because of it. When ZRA and ZPC talk about percentages, they are referring to the amount of water that is left in order to generate power not the entire level of the lake, so when they say there is only 12% left, it’s how much they have left to use before closing the generators off completely. There are so many figures I could show you concerning how much water is in the lake but the numbers are huge and can be very confusing, for example, when the Lake is full to maximum 100% capacity (488,5 M above sea level) it holds 180,6 Billion Cubic Metres, now let me tell you, that is a BIG Bucket full of water as many homes only use about 70 Cubic Meters a month. When the Lake is down to a position that it cannot supply water for generation 0% there is still 115,8 Billion Cubic Metres in the lake or it’s 64% full. With the drought over the past couple of years and the overuse of the water for generation, the generation level did drop to 12% but fortunately with of the late, good rains we have had in the catchment areas the Lake has come up just on 2 M to date and we are hoping to get another 3 M this year, so the Lake is currently 73% full. It most certainly is not empty and is only down about 9 M from full. We have been down 12,5 M before. What it means to Houseboat users and fishermen, is that we now have some large areas along the shore exposed, so all the game are out for us to see and, and now with the Lake rising the fish are moving into the grass where we can have some great fishing catching Pinkies and other Bream. Wonderful fun catching a fish on a small float in the grass with an old Ele or other animal grazing next to you. This article was written by Kariba Houseboat owner Keith Ballentyne with regards to the state of the Kariba Dam wall and the water level in Lake Kariba.